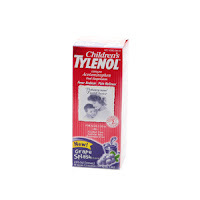 Johnson and Johnson is recalling some children's and infant's Tylenol liquid products manufactured between April 2008 and June 2008 as a safeguard against potential bacterial contamination. I'm surprised that the FDA hasn't announced anything. I also don't see anything on the corporate Johnson and Johnson site. So, to read the story on CNNMoney.com, click here.